Experience serenity, calm and restoration with Andrew’s annual Yoga retreat set in the grounds of the oldest Buddhist Monastery in Europe. Andrew has been running this retreat successfully for over 10 years. 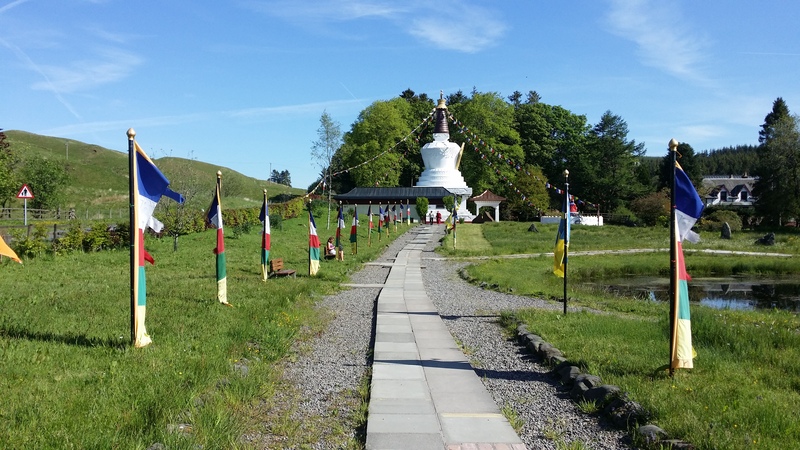 Looking out over the River Esk in the peaceful hills of the Scottish borders, ‘Purelands’ at Samye Ling is an ideal setting to inspire, exhilarate and offer time for reflection in our busy lives. 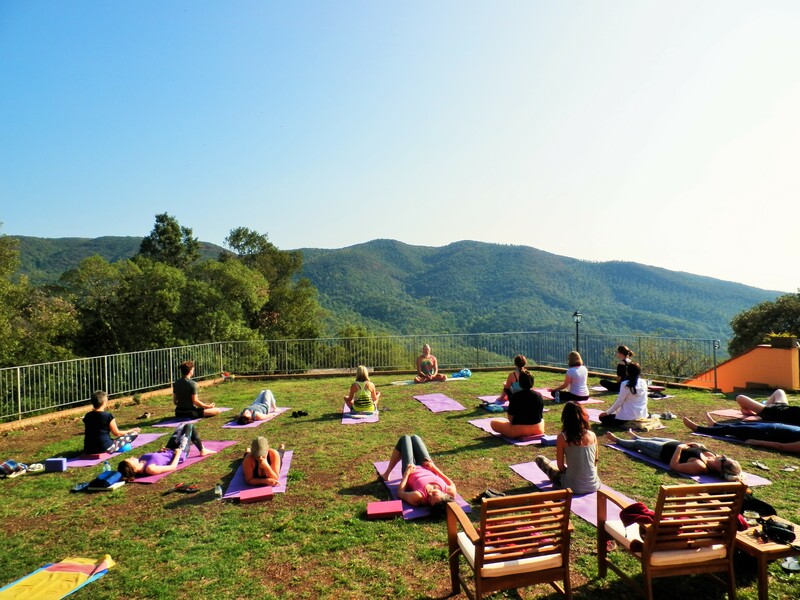 The retreat will offer asana, pranayama, meditation and mantra. There will be time and opportunity to walk around the meditation garden, venture up the fairy hill or talk a stroll along the river bank, maybe catching a glimpse of the otters in the unspoiled natural surroundings. Arriving on the evening of the 20th and getting together for an early supper, we will enjoy a relaxation/yoga nidra session to ground ourselves after travelling. On the Friday and Saturday we will have an early morning Meditation and Pranayama session, followed by a mid morning Asana (yoga postures) practice. In the afternoon on both days there will be time for some questions and answers, followed by another Asana session with Pranayama and some Meditation. On Sunday we will have the early morning Meditation and Pranayama practice, followed by the mid morning Asana practice. Departure is after lunch on the Sunday. We will observe silence until after breakfast. 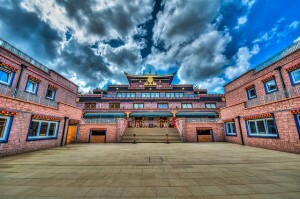 Friends are also welcome to observe or participate in the meditations and puja performed in the very colorful traditional Tibetan Buddhist temple. All accommodation is in basic but comfortable single rooms with three home cooked vegetarian meals a day, drinks available throughout the day. Price £ 355 which includes all tuition, a single room per person, breakfast, lunch and supper on Friday and Saturday, supper on Thursday and breakfast and lunch on Sunday. The retreat offers fruit and hot drinks available throughout the day. Arrival time is flexible, departure is after lunch on the Sunday. Bookings are now being taken, £150 deposit (non refundable) secures place, full payment by 10th of September please. The monastery is about three and half hours drive from Manchester and Macclesfield. Car sharing may be available. NB this is a yoga retreat not a Buddhist retreat and is open to everyone from beginners to advanced students. Welcome to a week of rejuvenation, relax and reconnection with nature. 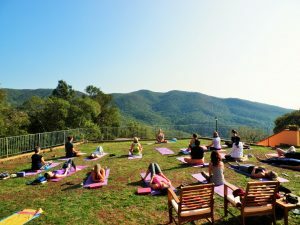 Surrounded by a Mediterranean forest, Casale Pundarika (http://www.pundarika.it/en/) is the special location for our week long retreat. A typical Tuscan country house ideally set in a magical place 2km from the village of Riparbella on the Maritime Hills a few km from the Tyrrhenian coast. A mixed landscape of woods, olive groves, vineyards and a skilfully-worked countryside reflect the agricultural origins of the town. There will be time for quietly enjoying contemplation and personal time. We will observe silence each morning until lunch time, as well as a full day of silence as part of our practice. The cost of £710 (shared room) – £820 (twin/double room) includes all accommodation, all meals (breakfast, lunch and supper), all yoga practices and the use of the outdoor bath tub. The nearer airport is Pisa – flights from Manchester to Pisa with Jet2.com and Easyjet are very cheap and already available to book. Transport from and to the airport can be arranged. Bookings are confirmed with a (non returnable) deposit of £150. Cheques made to Pure Yoga Cheshire, bank transfer, Pay Pal or cash are all accepted. Mandala De Masca, Tenerife – from 2nd to 9th of March 2019. 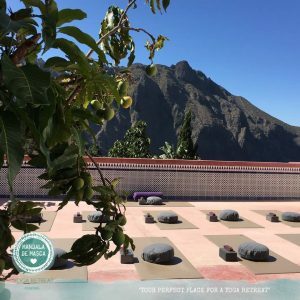 Join us for a week of immersion in Hatha Yoga practices, powerful tools for spiritual and physical transformation on the magical island of Tenerife! The daily rhythm begins early with Meditation followed by Pranayama and Yoga Asana in the morning. The Yoga Asana will be a combination of gentle and strong practices, including Sun Salutations and Vinyasa flow, as well as more traditional Hatha Yoga postures work. The afternoon’s Satsang is an opportunity to share our insights and philosophical outlooks, as well as your chance to voice questions and insights of a spiritual nature. We complete the afternoon with Asana (with inversions as well as Yin Yoga and restorative practices) and Pranayama. There will also be the opportunity for walking meditations to special locations on the island, some mantra chanting and walks to the beach. We offer this retreat open to all abilities – from complete beginners through to seasoned yogins, so whether this is your very first retreat or not, we invite you to take this opportunity to experience each new day, each new moment as totally new and unique with us in Tenerife. As part of the retreat process we ask to respect each other’s space and sanctity by limiting the use of electronic devices, and honouring the daily periods of silence. Mornings will be silent until 12 o’clock, and there will be one full day of silence where we will ask you to switch off your mobile phone. We understand this might be a unique occurrence in this day and age, but there will be a 24 hour contactable phone number for the retreat centre in case of emergency. Deposit of £200 (non refundable) confirms your spot. Direct flights from Manchester and most UK airports are already available and can be booked easily. Transfer to and from airport will be arranged. 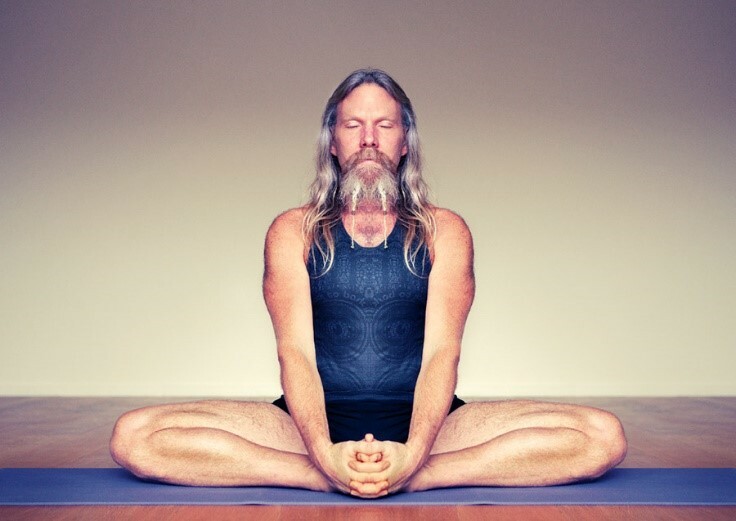 Andrew Wrenn began his Yoga journey as an asthmatic more than 20 years ago. Francesca Giusti also teaches yoga online at www.ekhartyoga.com. She practiced the traditional Ashtanga Yoga sequence as taught in Mysore for many years, before embarking in a deeper journey that led her to train with the Yoga Arts school in Australia. The depth of her journey inspired her to share her practice with others and she has been teaching since 2004 in Italy, Ireland (Cork area until 2012) and now England. Her passion for Yoga began in 1997 and deepened with a daily practice since 2000. Many trainings, retreats, workshops and teachers later she is very much a student of yoga herself, and she likes to share her practice with precision, compassion and integrity. Her daily practice includes Meditation, Pranayama and Asana. She is forever grateful to all her teachers, especially to Clive, whom she joins every year in his 3 week retreat in India. After almost 12 years in Ireland, she moved from Cork City to the North of England after meeting her now husband, Andrew Wrenn, in India. Francesca teaches at her studio Pure Yoga Cheshire (www.pureyogacheshire.co.uk), workshop and retreats in the Uk, Italy and other European locations, and online at Ekhart Yoga ( www.ekhartyoga.com). The cost of £695 includes all accommodation, all meals (breakfast, lunch and supper), all yoga practices and the use of the outdoor bath tub. 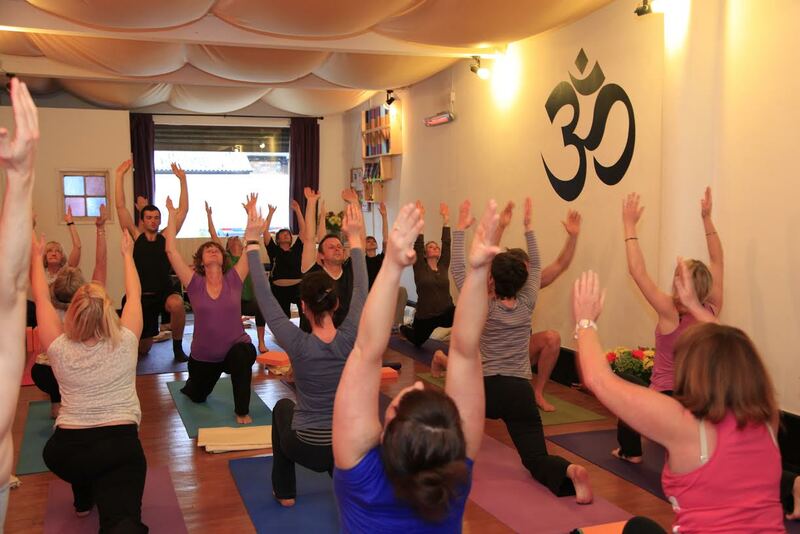 Yoga Weekend in Glastonbury – dates coming soon! Spring is coming! Refresh, recharge and explore with Andrew’s weekend in Magic Avalon! Magic Glastonbury, King Arthur’s ancient isle of Avalon, has been a centre of pilgrimage for a wide range of people of different faiths and spirituality since ancient times. Glastonbury Tor rises dramatically from the mystical landscape of the Somerset levels. Prices include full accommodation and all meals, yoga sessions, all activities and the use of a real sauna. Bookings are confirmed with a deposit – £100 non refundable. Due to the very limited amount of spaces available, we ask to confirm your booking with a deposit as soon as possible. Cheques, bank transfer and cash are accepted. Awareness through movement and holding asana. Deconstructing your approach to your practice physically, removing expectation and Past held beliefs and ideas to accept, acknowledge and delight in your physical present in this present moment. The morning practice will consist of nurturing limbering movements, standing postures, seated postures and preparation for/full inversions. Satsang themed upon the realisation of the present moment. I’m a British Wheel of Yoga trained Teacher with influences from classical and more contemporary Hatha Yoga traditions. I share my practice as a fusion of breath coordinated movements and classical postures which promote strength, flexibility and balance, culminating in a practice adaptable to all. Having a background based in biology and an interest in different philosophical systems I discovered the benefits of Yogic practice in my late 20’s. As a life-long asthmatic I turned to the yogic breathing techniques when my doctor prescribed stronger medication for the condition. Instead of increasing the medication I am now almost totally free from the symptoms and medication. Since the late 90’s I have maintained a daily practice which has had a profoundly positive effect upon my physical and mental well-being. I am continuing to develop my practice and understanding of the principles and philosophy of yoga by exploring different approaches and attending retreats lead by international teacher Clive Sheridan. My inquiry has drawn me to the traditions of Tantra and Advaita Vedanta. I’ve been travelling to remote sacred locations in the West Bengal area, diving deeply into the sacred roots of Yoga. I have taught and led retreats in Europe, Middle East and India. My wish is to pass on my experience and understanding of yoga instructively, yet also with delight and passion. 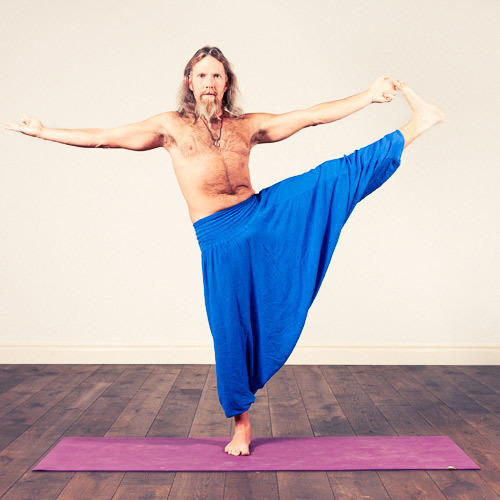 I teach regularly on the leading European Yoga website Ekhart Yoga. Hatha Yoga, Pure and Simple – Workshop in Glastonbury. Join Andrew and Francesca at the beautiful Goddess House in Glastonbury GlastonburyGoddessHouse.co.uk with a practice inspired by traditional Hatha Yoga incorporating Asana, Pranayama and Meditation. Yoga defines the manifested Universe as Shiva/Shakti: Shiva being the masculine, contemplative, steady, grounding and still principle. Shakti being the primordial Cosmic Energy, the life force (Prana), the creative sparkle, the Goddess in all Her manifestations.Andrew Wrenn and Francesca Giusti offer you this practice of Hatha Yoga – Pranayama, Asana and Meditation, culminating with a rolling OM chant. We invite you to find the Sparkle and soothe your body/mind/soul with the ancient arts of Yoga. Expect both strong and gentle practices, traditional pranayama and stillness. 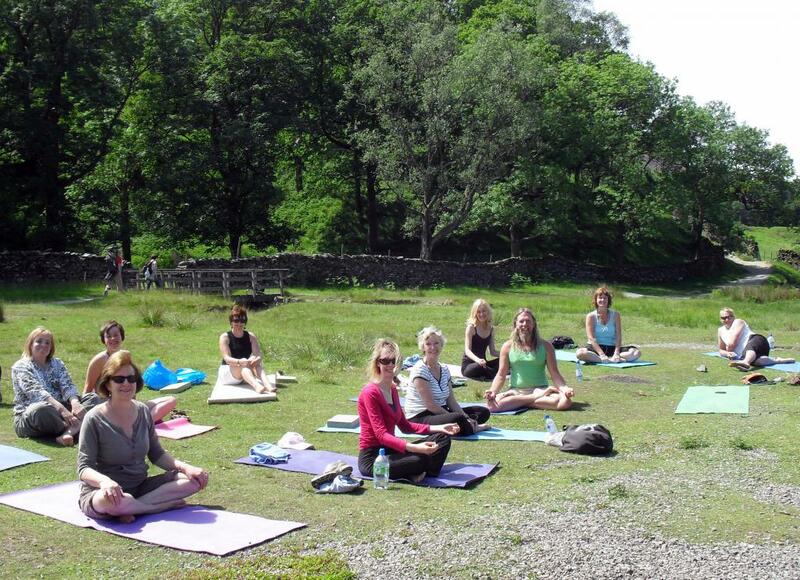 This event is suitable for all, both experienced and beginners yoga practitioners. teaches yoga online at www.ekhartyoga.com. practiced the traditional Ashtanga Yoga sequence as taught in Mysore for many years, before embarking in a deeper journey that led her to train with the Yoga Arts school in Australia. The depth of her journey inspired her to share her practice with others, so she has been teaching since 2004 in Italy, Ireland (Cork area until 2012) and now the North of England. Her passion for Yoga began in 1997 and deepened with a daily practice since 2000. Many trainings, retreats, workshops and teachers later, she is very much a student of yoga herself, the delight of the teachings that she shares are from her own experience. She teaches her practice with precision, compassion and integrity. Her daily practice includes Meditation, Pranayama and Asana. She is forever grateful to all her teachers, especially to Clive, whom she joins every year in his 3 week retreat in India. She moved from her beloved Cork City to the Uk after meeting her now husband, Andrew Wrenn, at her teacher’s yoga retreat in India. Francesca teaches at her studio Pure Yoga Cheshire (www.pureyogacheshire.co.uk), workshop and retreats in the Uk, Italy and other European locations, and online at Ekhart Yoga (www.ekhartyoga.com). 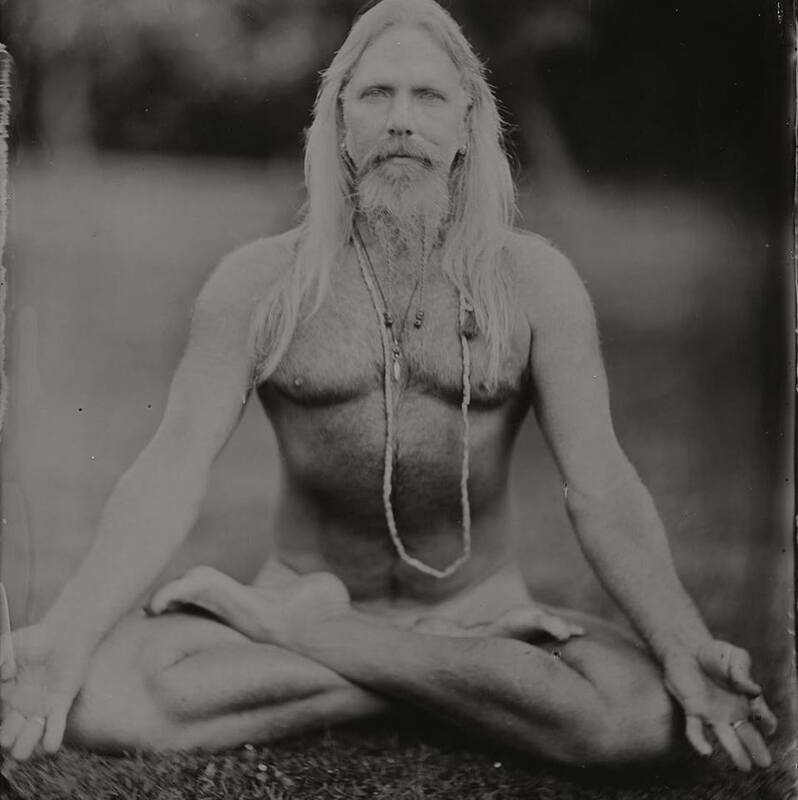 began his Yoga journey as an asthmatic more than 20 years ago. The regular practice of pranayama (breath work) helped him to overcome his condition. Embracing a daily Asana (posture) and Pranayama practice he found a perfect combination for strength, flexibility and wellbeing. He also found that his practice enhanced a balanced and focused mind and an inner depth that he explores everyday in his Meditation. 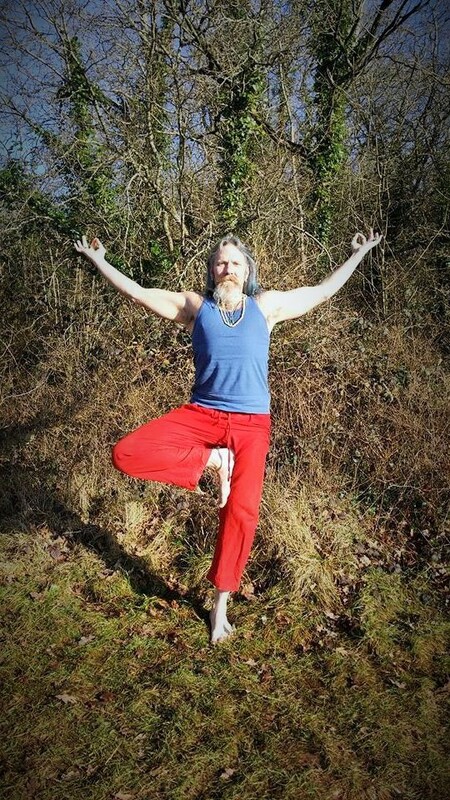 He is a British Wheel of Yoga trained teacher with influences from different backgrounds, having practised with many yogis and yoginis in different styles over the years. He joins his teacher Clive on his annual 3 week retreat in the jungle, where he challenges his fear of aquatic creatures swimming in a reservoir populated by crocodiles! As yoga students, practitioners and teachers, how many times have we heard about the ‘journey or path’ of yoga? We practice and follow the eight limbs of yoga, yet again, this seems to be a sequential practice that is building up to something or leading somewhere. Through the tools of asana, pranayama and meditation, realise it is not where we are going, or where we have been. The essence, the clarity… the love infinite, is ever present if we surrender to the expression of simply being, here and now in this present moment. We will look at some of the symbology of yoga and introduce the philosophical ideas of OM and the experiential relevance this has upon our yoga practice and day to day lives. There will be OM chanting and meditation, practicing the concept of using the physical body and breath as a medium to present moment realisation (the expression of simply being). We will apply the philosophy through the tools of Asana (limbering movements and classical postures) and in the afternoon we will share a Satsang (spiritual and philosophical discussion) with questions and answers. The practice is suitable for all with an open heart and an enquiring mind.